Why join the Alpine Chamber of Commerce? “It gives you the opportunity to network with other businesses, organizations and people who need to know about what you do,” said Lori Bledsoe, Chamber membership and events director. The Alpine Chamber offers exclusive member benefits, networking so others know about you, visibility so you stand out, credibility with consumers, training opportunities that give you a competitive edge, discounts and a voice in local and state government. Chamber staff is committed to helping you succeed! They can provide opportunities for networking as well as make referrals to you and create special events that draw consumers and professionals from around the region. Every level of Alpine Chamber membership offers advertising credit; monthly membership “Hot Topics” breakfasts and evening Third Thursday Mixers; quarterly workshops and magazines; newsletters and job listings on AlpineChamber.com. Get your logo on the Chamber Homepage. Enjoy and be informed by the biannual dedicated e-blast to members. Get press release writing assistance. Help sponsor a Chamber Signature Event, such as the Alpine Leadership & Public Service Awards or the Alpine Parade of Lights & Snow Festival! To learn more about what the Alpine Chamber offers you, your business or organization, call (619) 445-2722 or visit www.alpinechamber.com. One of the most healthful places in beautiful Alpine is the Alpine Community Center! The center at 1830 Alpine Blvd. offers a range of activities to keep everyone in good shape. One of the most popular programs is Matt’s Sit ‘n Fit from 11 a.m. to noon every Tuesday. No reservations are needed for this free low impact exercise program. Donations are accepted. Check out that class and the Senior Lunch Program, Stroller Strides, Pilates, Alzheimer’s Support Group, Card Club, Weight Watchers and Yoga at www.alpinecommunitycenter.com or call (619) 445-7330! Save the date now for the Children’s Nature Retreat Foundation’s Disco Ball 2019! The 8th Annual Fundraiser Gala starts at 6 p.m. on Saturday, March 2, at the Hilton San Diego Resort & Spad, located at 1775 East Mission Bay Drive in San Diego. 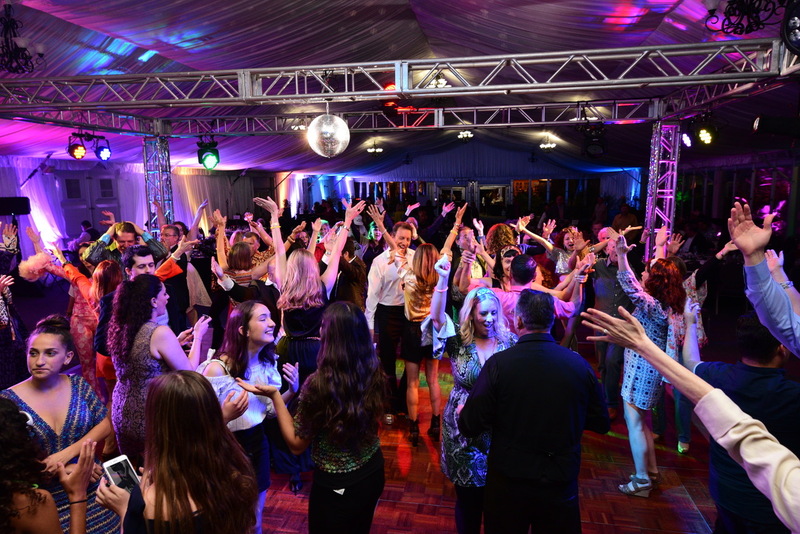 Unleash your Saturday Night Fever during the evening of elegance to help enrich the lives of children and their families and to help the Alpine sanctuary and it’s 120-plus animals. Don your best disco attire for the contest and dance the night away! Visit www.childrensnatureretreat.org for more information and tickets!